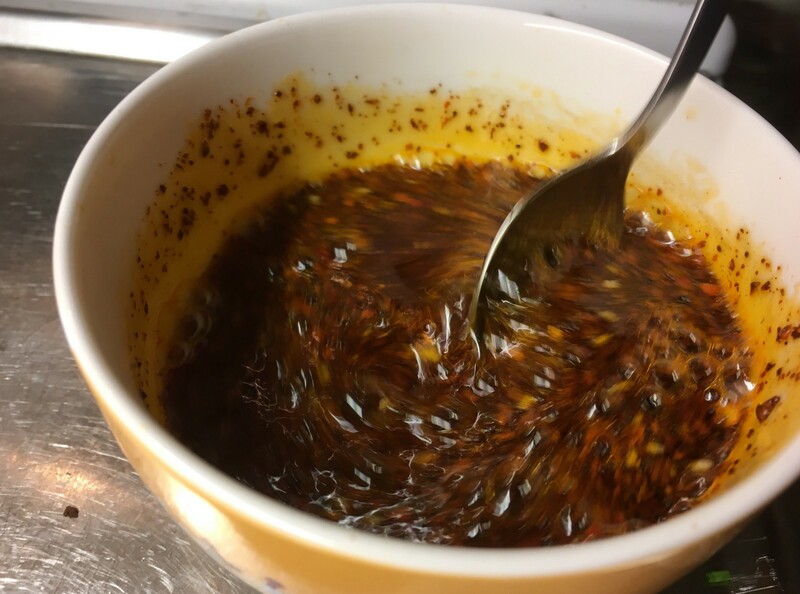 Chilli oil can be used as seasoning for a plethora of dishes. From simple dumpling sauce to more “complex” 3 in 1 noodle. It is super simple to prepare and lasts a long time in a dry and room temperature storage, since it’s basically vegetable oil. Heat the oil in any pan in medium high temperature (until the oil has waves on its surface). Meanwhile, mix all the dry ingredients in a bowl that can sustain high temperatures. Hold a dry spoon in the oil so that it is the same temperature. Then, slowly pour a bit of the oil with the spoon over the mixture to test the oil temperature. You need to hear/see the mixture fry instantly and a red-brownish foam should appear. If you don’t see that, put the oil back to the fire and increase the temperature. Once you see the frying happen, and a bit of the foam appear, continue pouring the oil while steering from a safe distance with a spoon. 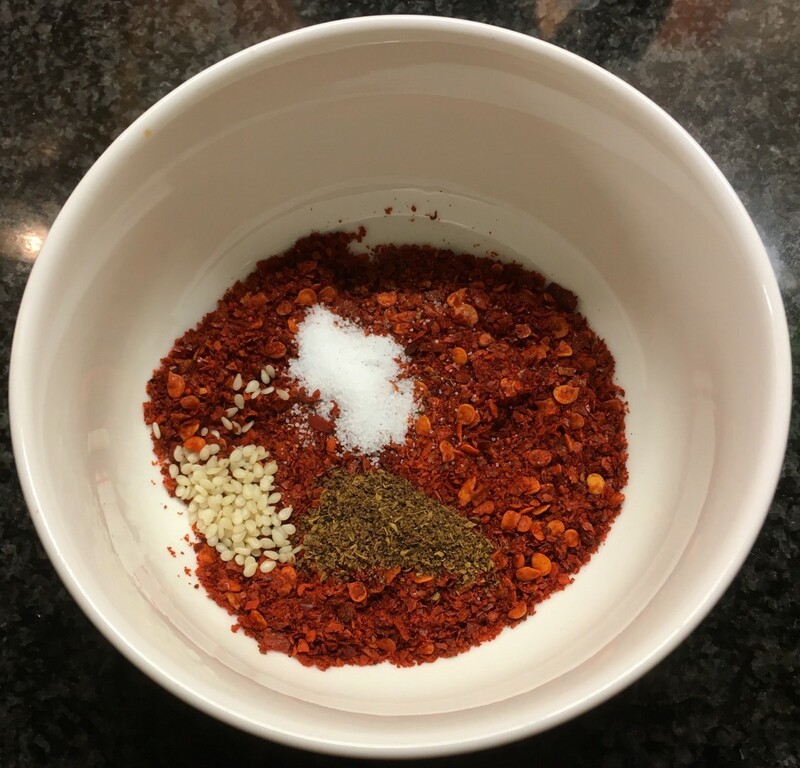 Tip: the chilli flakes tend to go to the bottom of the jar, so before using the spice, shake a little to make sure you don’t get only the oil.